As part of our commitment to Participatory Action Research, the ALC invests in developing long-term, mutually beneficial partnerships with organizations, networks, companies, and institutions. Below, you’ll find links to our past and current collaborators, representing work related to agroecology, livelihoods, agrifood systems, ecosystem services, political ecology, and participatory action research. 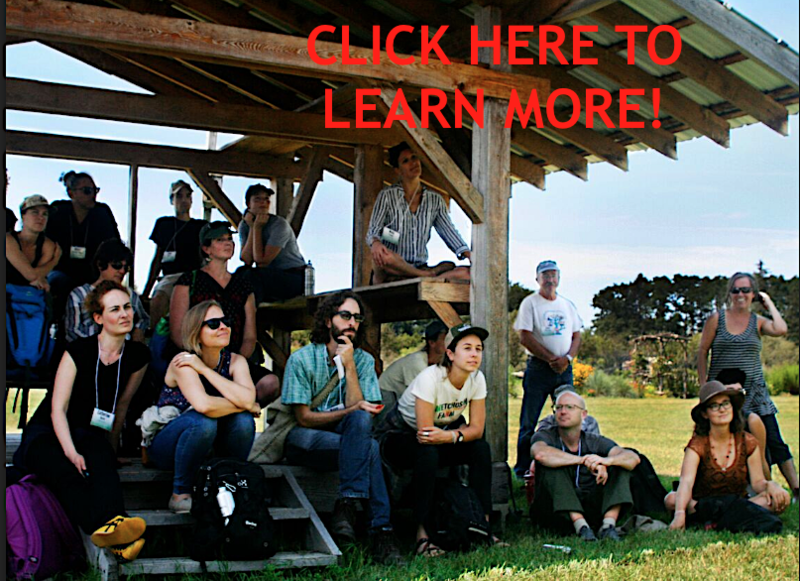 The Community Agroecology Network (CAN) is a U.S. based non-profit organization whose mission is to develop a network of rural communities and U.S. consumers to support self-sufficiency and sustainable farming practices. Can is based in Santa Cruz, California. The Vermont Entomology – Participatory Action Research Team (VE-PART) is a research collaboration between the University of Vermont and Saint Michael’s College. VE-PART specializes in supporting local Vermont farmers using applied ecology solutions for pest management. Since the beginnings of the ALC, in 2007, several farmers have partnered with us to support us in teaching our students how agroecology is practiced. By sharing their knowledge and allowing students to learn on-farm, they have been a crucial asset to our educational mission. In 2017, we expanded our collaborations to also include a PAR component, in which students from the PSS/ENVS 212 Advanced Agroecology class engage in research of interest to farmers. In addition, the course students are supported by ALC Undergraduate Research fellows. 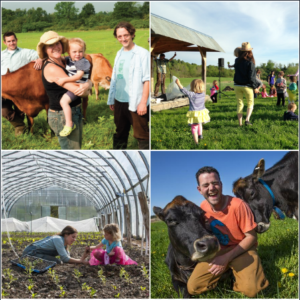 Bread and Butter Farm began almost eight years ago as a bakery and dairy and has since evolved to become what it is now: a vegetable and grass fed beef operation as well as a host to a number of independent businesses including Henry’s Dairy, Blank Page Cafe, and 100 Years of Sun. Bread and Butter Farm is also home to Friday Burger Nights where during the summer months hundreds of families from the local community come to share in music and delicious food raised right on farm. The on-farm store is open six days a week and is stocked with bread, butter, and a wide variety of vegetables, meats, eggs, and other farm products. The Farm Between is nestled in the Northern Green Mountains along the Lamoille River in Jeffersonville, Vermont. 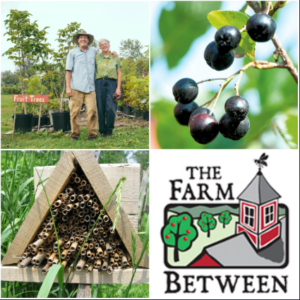 John and Nancy Hayden work closely with nature by using ecological principles and practices to grow cold hardy organic fruits, fruit nursery plants, and maintain a 14-acre pollinator sanctuary. They believe that ‘Small is Beautiful’ and keep their acreage and markets at a scale where they can still give their personal attention to both the plants they grow and the markets for their fresh fruit and fruit products. Diggers’ Mirth Collective Farm is a ten-acre vegetable farm in Burlington, Vermont currently run by five owner-operators. Since 1992 it has had twelve farmers as a part of the collective (their term for farmer-owners). 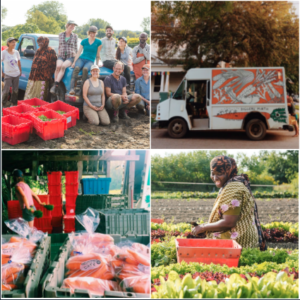 The farm is located in Burlington’s Intervale; a plot of 350 acres of floodplain on the banks of the Winooski River owned by a nonprofit, the Intervale Center, which is dedicated to strengthening community food systems. Diggers’ Mirth leases land at the Intervale to grow about ten acres of vegetables that they sell through Burlington’s cooperative grocery store, several farmer’s markets, and local restaurants. CGIAR Research Program on Climate Change, Agriculture and Food Security (CCAFS).